Edited by svilardo2, 06 May 2016 - 17:49. I would like also, , but alas, I am in Canada. Not a disqualifier if you pay shipping, but I guess you could get it for less. let me know. I am extending PIF, since I realize shipping is more or less same price you would pay from China, but without the extended wait. Going together, that is.I know it is a modest PIF but these nibs seem to be thinner than usual M, so I categorize them as F in my experience. I hope whoever gets them can corroborate this for me. Great Mother's Day celebration to all. This is a great PIF! Thank you for being so generous! But, since I have been around awhile and have many pens, I will let some other person benefit from your great generosity! Got the pens today and I'm in love. 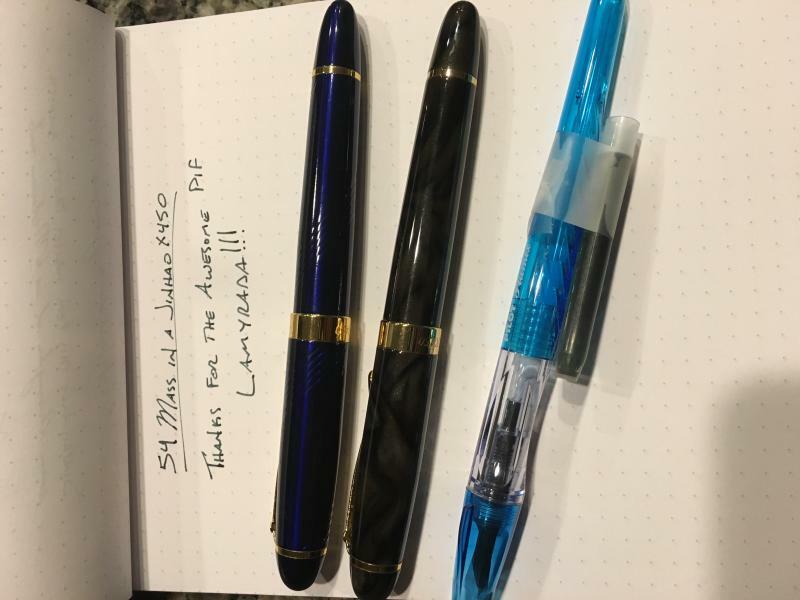 The weight is fantastic and I even got a bonus pen! Sweet!!! Thanks for the awesome PIF @Lamyrada! I was wondering why it took so long to get there. I am glad that they found their home and you like the weight. i use the x450s often, always two of them on my desk and several on cases, unused, for the future. I am very fond of the Plumix's also, easy to carry and great for sketching. 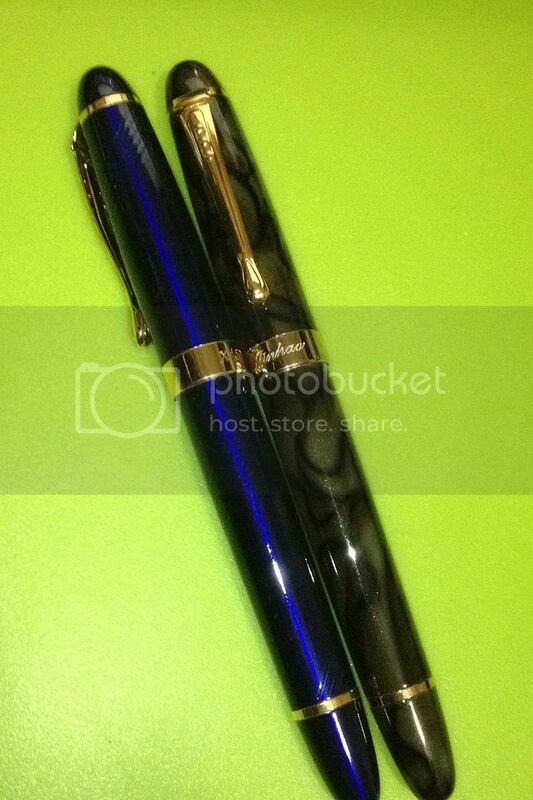 Jinhao 159 And Pierre Cardin !